In a statement to CNN, Xianqi described how he began investigating Xuecheng earlier this year when a "fearful and nervous" nun told him about the explicit messages she had been receiving from the abbot.After obtaining the messages through legal means, Xianqi said the whistleblowers consulted with police and technical experts, who ruled out the possibility of the abbot's account having been hacked. "So many faithful Buddhist women wanted to join the temple and I always voted yes," he said in the statement. "Little did I know I was sending them to the tiger's mouth. ""The abbot's learned image has crumbled in my mind," he added. "All that's left is huge fear. He is evil in the Buddha's robe. 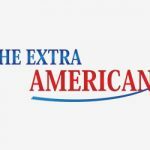 "China boasts more than 240 million Buddhists despite the ruling Communist Party being officially atheist.Xuecheng is one of the most high-profile religious leaders in the country, an author of numerous books and a globetrotter in promoting Chinese Buddhism.The abbot is known to put a modern twist on the ancient religion, maintaining an active online presence and teaching Buddhist ideas through cartoons. 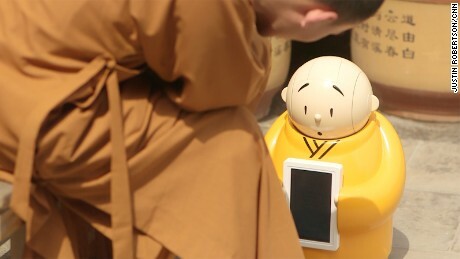 In 2016, he attracted brief worldwide attention when his temple launched a humanoid "robot monk" designed to greet young visitors.His temple is also seen an intellectual bastion with highly educated young monks. Both of the whistleblowers hold doctorate degrees in engineering from one of China's most prestigious universities. Xuecheng is not the first prominent Chinese Buddhist monk facing serious allegations in recent years. 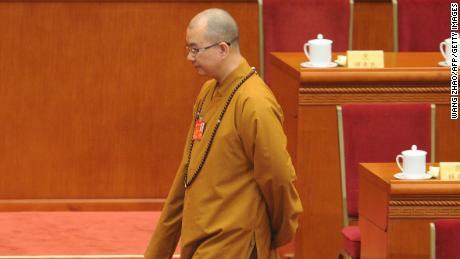 In 2015, Abbot Shi Yongxin of Shaolin Temple, the country's legendary kung fu monastery, was accused of being an embezzler and womanizer with illegitimate children.The latest claims against Xuecheng, which surprisingly were published in the English edition of state-run tabloid Global Times, are also part of a number of sexual harassment allegations making waves in China in recent months. 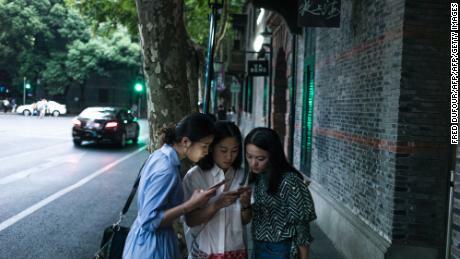 In July, a spreadsheet of accusations against prominent men within non-governmental organizations as well as activist and media circles was widely shared by Chinese women online.It has drawn comparisons with the #MeToo movement in the West, which has exposed a number of serious allegations against high-profile media and political figures, as women push back against systemic sexual harassment and abuse.Far from being wary of calling out men whose work is important, many Chinese women airing their accusations have highlighted the hypocrisy of their abusers, and the disparity between their public and private faces. "They're famous, they're powerful and they make great contributions (to society). That's exactly what makes them think they have the power to sexually harass women," Xiong Jing, director of the Beijing-based Women's Media Monitor Network, told CNN last month.